Businesses house looking for car hauler trailers at budget rates can now buy them from Infnity Trailers at easy finance options. 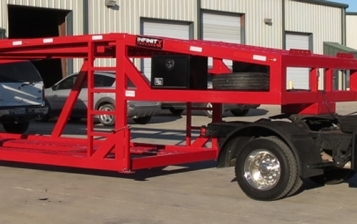 Infinity trailers bring you high quality car hauler trailers for easy sale. 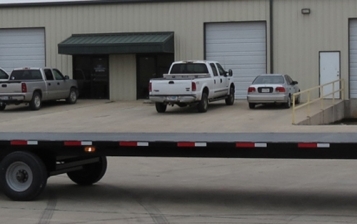 At Infinity Trailers, we bring you 4, 5 & 6 car hauler trailers at reasonable rates. What is worth mentioning is that the company itself designs and manufactures products . Some notable names of the cars are GN400, GN450, GN500, GN550, GNW500, GN600 & GNW600 which are known to carry trailers that one can get at affordable rates. No matter what trailer is being bought, warranty is provided against the manufacturing defects in workmanship for a year or so from the date of purchase of the product from Infinity Trailers or other authorized dealers (T&C Apply). Incase any defect is detected, Infinity trailers take the onus of repairing it without charging any penny for labor or product. However all the warranty repairs are to be made at the facility of infinity or at the facility of any authorized dealers. Well there are something that don't fall under the warranty provided by Infinity Trailers. Repairs done by person not authorized by infinity trailers. modifications not installed by infinity Trailers. Damage of tires and wheels due to poor maintenance. 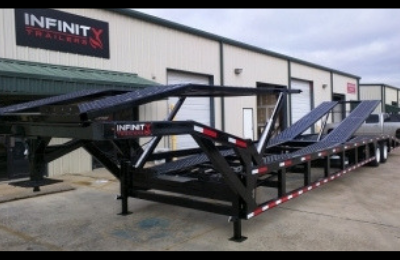 What's more is that Infinity Trailers lets you avail easy finance options. There are lots of companies have come forward helping to finance the car hauler trailer. The above companies will help you finance your four car hauler, five car hauler or six car hauler trailer.